Creating a glass floor feature is simple and straight forward for many rooms in the house as the principle remains the same throughout, or even outside. The glass used needs to be toughened and laminated at the correct thickness for its span and supported by a suitable framework- in most cases a steel construction. This latest example was created for our customer Chris in Newcastle- We surveyed, designed, manufactured and installed a steel support framework, neoprene seating gaskets and walk-on glass flooring to the sub-floor in Chris’ kitchen which was then floored upto to created the finished surface. 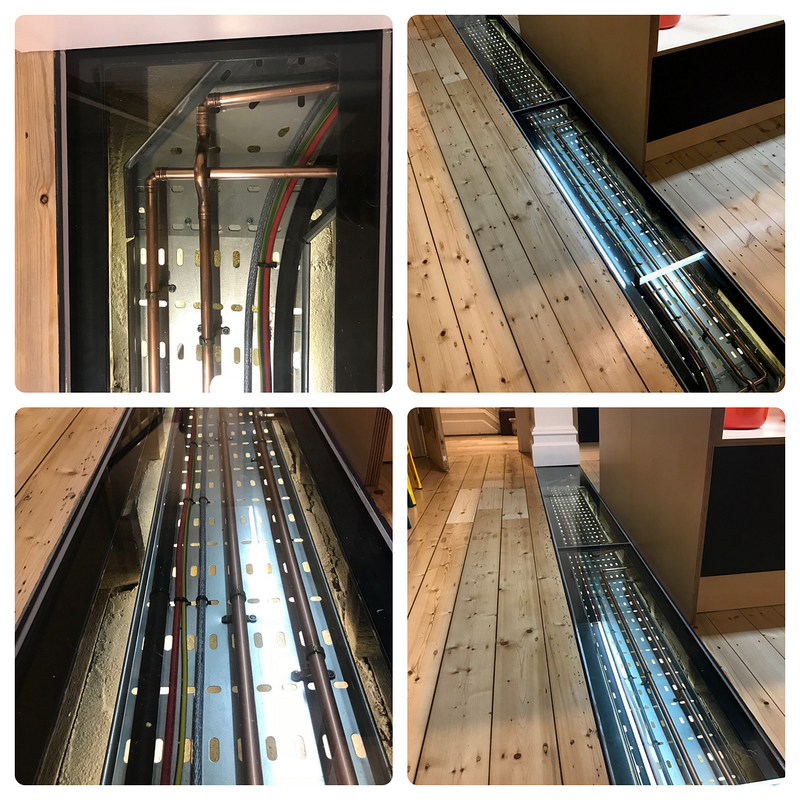 The walk-on glass floor in this instance was used to display an aluminium conduit which housed pipework and electric cables and create an industrial themed finish to the room. All steel support frameworks are priced individually – please get in contact to discuss your requirements.